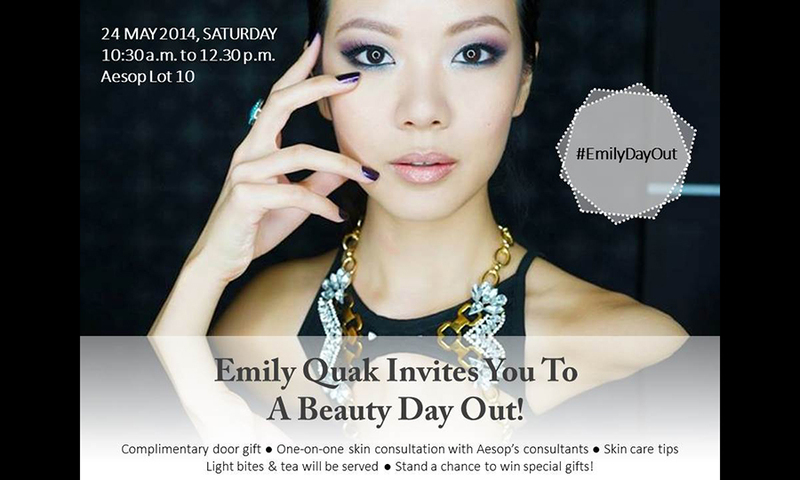 Event News: You're Invited to #EmilyDayOut! So guys, the wait is over! I have finally set a date and am super excited to announce that I'll be hosting a beauty day out at Lot 10 in KL this coming 24th of May! Of course, what's a party without food, so there will be refreshments for you to enjoy whilst you pamper yourself with Aesop's amazing products. Unfortunately, there will be limited spaces at this event, so make sure that you RSVP so we can save a space (and goodies) for you! The Facebook event page is here, so head over and click "Join" to attend the event! I'm Emily - I'm a beauty YouTuber, makeup artist, and all-round beauty lover. Follow this blog for my life, inspiration, and beauty!